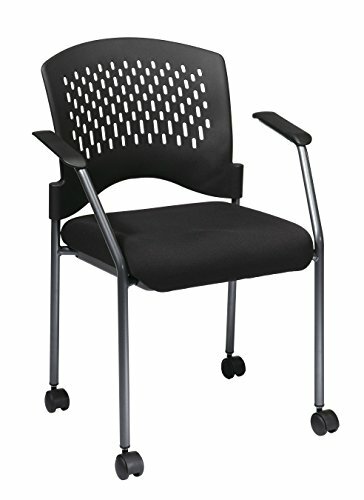 Titanium finish rolling black visitors chair with casters, arms and ventilated plastic wrap around back. Black fabric padded seat. Black plastic wrap around back. Sturdy titanium finish arm frames. Dual wheel carpet casters. Stackable.